The Dr. Mom brand by Summer infant is offering moms-to-be the "must have" Perfect Beginnings Baby Care Kit. 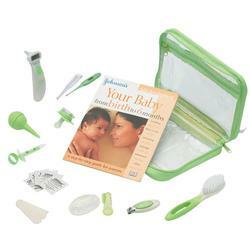 It includes the essential health care and grooming items youll need for your baby when they are first born. It also includes Johnsons "Your baby from birth to 6 months" - a great guide for new parents.